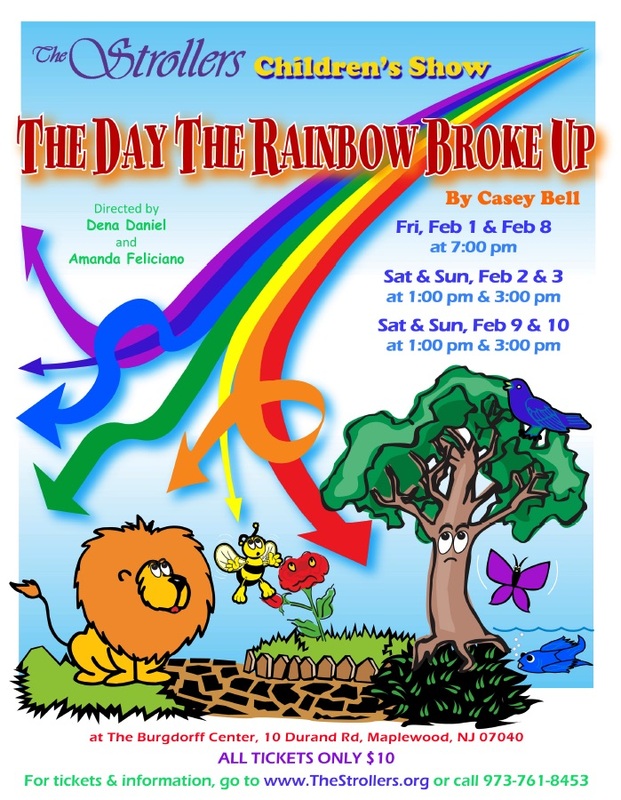 The Strollers Presents "The Day the Rainbow Broke Up"
Casey Bell's story for children of all ages poses the question of what might happen if all the colors of the rainbow decided to strike out on their own. Each color learns about cooperation, friendship, and the beautiful power of diversity before the rainbow is once again united and brilliantly arched across the sky. Friday, February 1 and 8 at 7 p.m.; Saturdays and Sundays, February 2, 3, 9, 10 at 1 p.m. and 3 p.m.
Visit www.thestrollers.orgfor information and to purchase tickets, or call 973-761-8453 to reserve tickets.